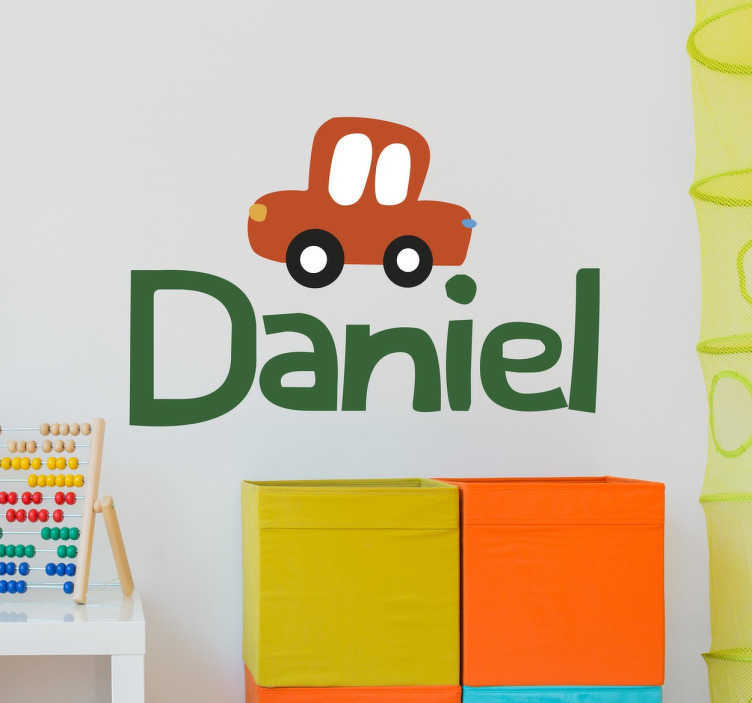 Decorate your child's room or playroom with this original and fun decorative wall sticker featuring your child's name underneath a fun illustration of an orange car. This vinyl is ideal for brightening up the atmosphere in any room, and the sticker can be applied to any hard surface, indoor or outdoor! Let your children's imagination run wild. This sticker is available in a variety of different sizes!